Providing a freight bidding web and mobile app solution for shippers to search and find reliable carrier capacity. Easy signup option for shippers by using mobile number and email. Simple load booking option just by providing shipment schedule, load details, location and requesting a quote. Shippers can view and manage all their upcoming, ongoing, and past shipment requests with delivery confirmations. Option to post upcoming load and receive the best freight bids and quotes from transporters, brokers or both. Once the shipper has a bid from a carrier of the choice, they can directly award the bid from any device, instantly. Option for real-time tracking of all the bookings to stay updated with the status. Option for shippers to schedule a cargo/load pickup for later. Shippers can share their feedback and provide rating with the shipment completion. 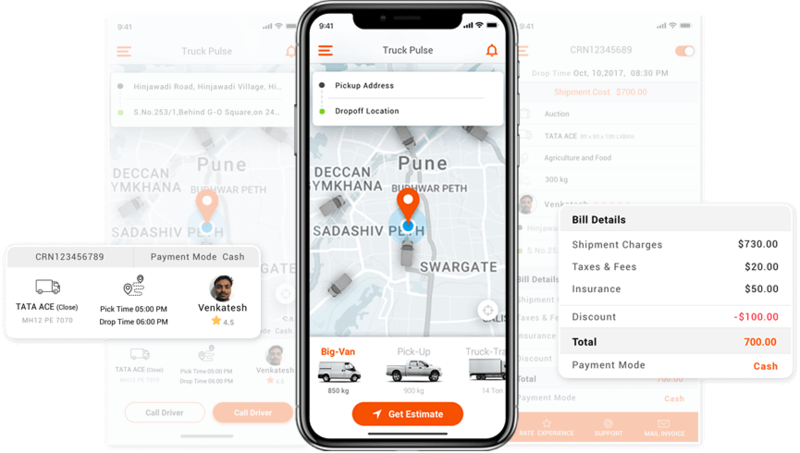 We provide the best-in-class freight bidding shipper app solution to optimize your load booking and freight bid management process.